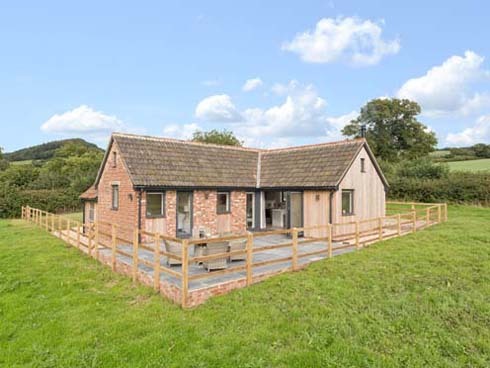 The Old Piggery is idyllically situated on the edge of the pretty village of Sidbury, with timeless views across the meadows to the village church and towards the surrounding hills. Standing detached, this luxury conversion has its own private drive, large sunny terrace and lawned area. It is set in a protected Area of Outstanding Natural Beauty, a few minutes walk to the local pub, village shop and adjacent to the East Devon Way footpath. It is a peaceful holiday retreat to relax and unwind in whilst also being a great base from which to explore. 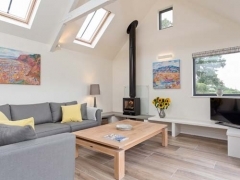 Spacious open-plan living/dining room with wood-burning stove, bi-fold doors to large terrace with furniture, and well-equipped kitchen area. Double bedroom with 5ft bed. Twin bedroom. Shower room with large cubicle and toilet.